The Tay Rail Bridge was designed by Thomas Bouch, one of Britain’s most eminent Civil Engineers of the day. He saw the need for a bridge over the Tay Estuary, as the current method of crossing was by ferry-boat and was not the most comfortable or dependable means. 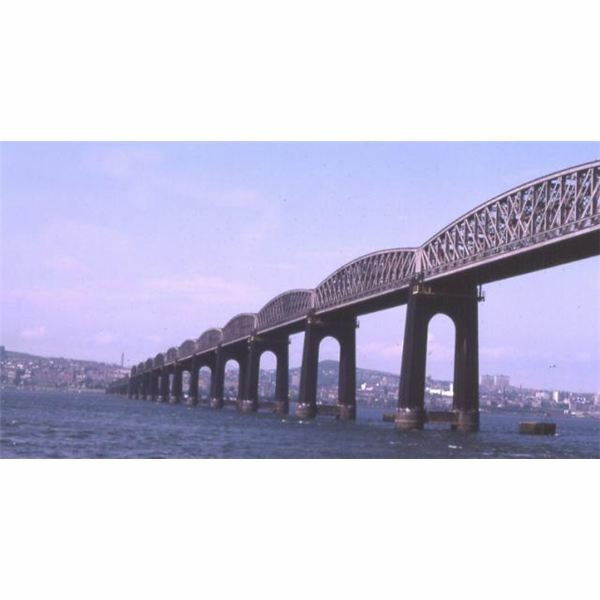 Here we will examine the key design, construction methods and materials used in constructing the Tay Rail Bridge. We shall also consider some of the theories of the causes of the bridge failure and review a summary of the subsequent Board of Trade findings. We begin with a short overview to set the scene. In the late 1800s, part of the route between Dundee and Edinburgh involved crossing the Tay Estuary and Forth Estuary by boat, then travelling the rest of the way by train to Edinburgh. Bouch had originally been asked to design a new ferry to cross the Tay Estuary, but instead submitted a proposal for a railway bridge to span it. Subsequently Bouch was commissioned by the British government to design and oversee the construction of the bridge. The construction was not without problems and dangers. There were many injuries and the deaths of twenty workers, but the bridge was finished on time. It was inspected by the Board of Trade engineers and passed as being safe to convey passenger and goods trains across the estuary. This added another link in the Dundee to Edinburgh railway; the Forth Rail Bridge, still under design, when built would provide the final link in this Scottish East Coast rail system. The opening ceremony was carried out with great pomp and ceremony, being attended by the Emperor of Brazil and the president of the United States. Her Majesty Queen Victoria was invited to open it, but was unable to attend. However she did cross the bridge in the summer of that year on her way to her retreat at Balmoral, being the first monarch to cross the Tay by rail. Visiting Dundee whilst on a world tour, Ulysses S. Grant (US President at the time) was quoted as describing the Tay Bridge project as being “a big bridge for a small city." 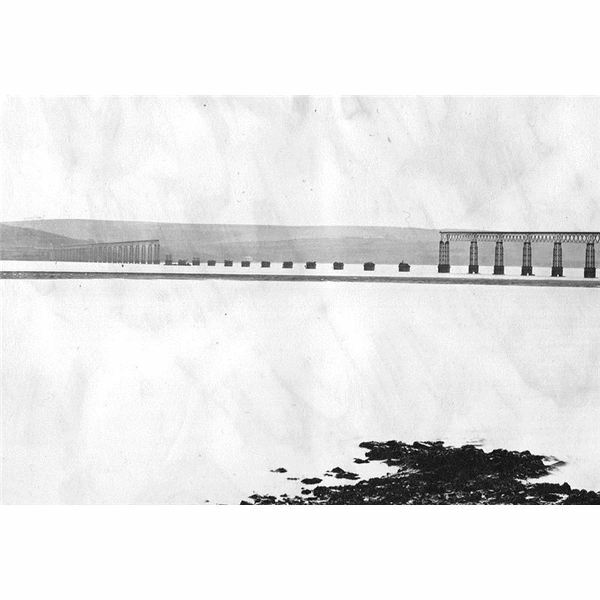 At the time of opening, the Tay Rail Bridge had the longest span in the world, being 10,709 ft (2 miles) long at a cost of £300,000. 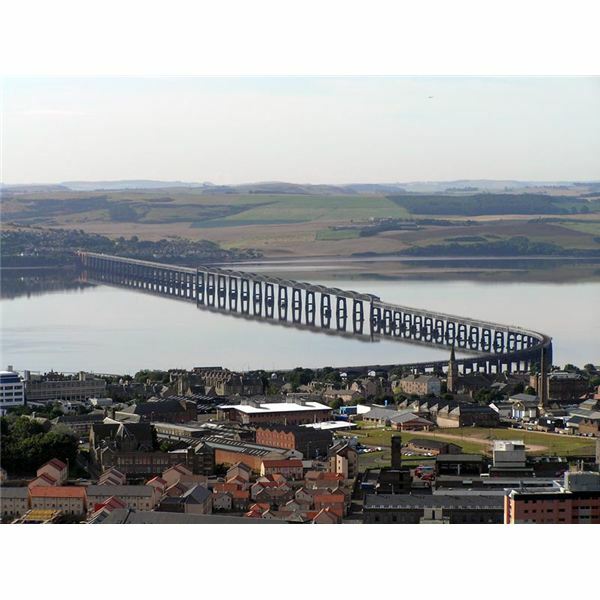 “Tay Bridge" was the code name given to the funeral arrangements for Queen Elizabeth the Queen Mother. Sir Thomas Boucher’s son-in-law was among the passengers lost when the bridge collapsed. The steam engine from the train was salvaged from the bottom of the estuary and put back into service. It was nicknamed "The Diver." It was rumored at the time that some superstitious drivers and firemen wouldn’t crew the engine, believing disaster would again befall the locomotive and that it should have been left in its watery grave. The bridge was constructed by Hopkins, Gilkes & Company for The North British Railway Co. It was inspected and approved by the engineers from the British Board of Trade (BOT), a government body charged with the inspection of structures, transport, and machinery that is used to carry members of the public. The bridge was officially opened in February 1878. Thomas Bouch was born in 1822 and at the age of 16 years was apprenticed to an engineering firm. 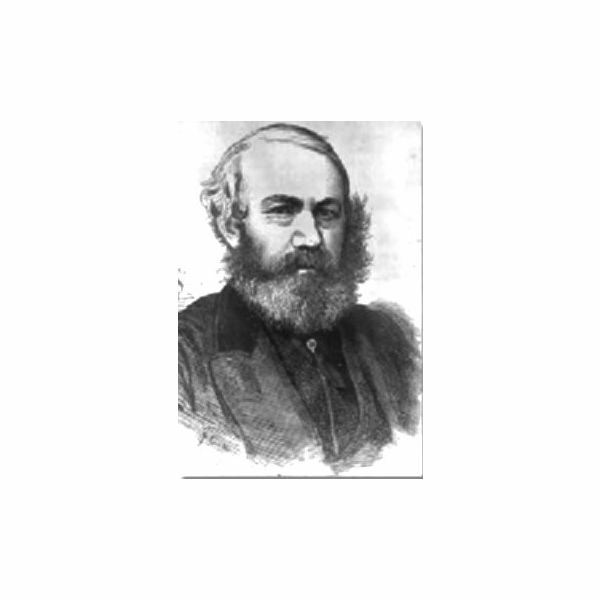 He proved a talented engineer and at 26 years was made engineering manager for the Edinburgh and Northern Railway Company. He later resigned this position to become a consulting engineer and was invited to become a member of the very prestigious Institute of Civil Engineers. Bouch was tasked by the Northern Rail Company to design new ferries for the Tay and Forth Estuaries to add to the railway network. As an alternative he made a proposal to build iron bridges across the estuaries consisting of latticed girders, columns and trusses that had been successfully used in a large Welch Viaduct. These proposals were at first scoffed at, but later both received the Royal Assent and were passed by a Bill of Parliament. Charged with the design, construction, and maintenance of the bridges, he was knighted for his contribution to British Civil Structures on the completion of the Tay Rail Bridge. Sir Thomas Bouch was actually well through the design of the Forth Rail Bridge (a railway bridge spanning the River Forth Estuary) when the Tay Bridge collapsed. In consequence, the project was halted, and the design and construction of the Forth Bridge was given to two other eminent civil engineers of the time, Benjamin Baker and Sir John Fowler. A year later, in 1880 at age 58, Sir Thomas died a broken man. 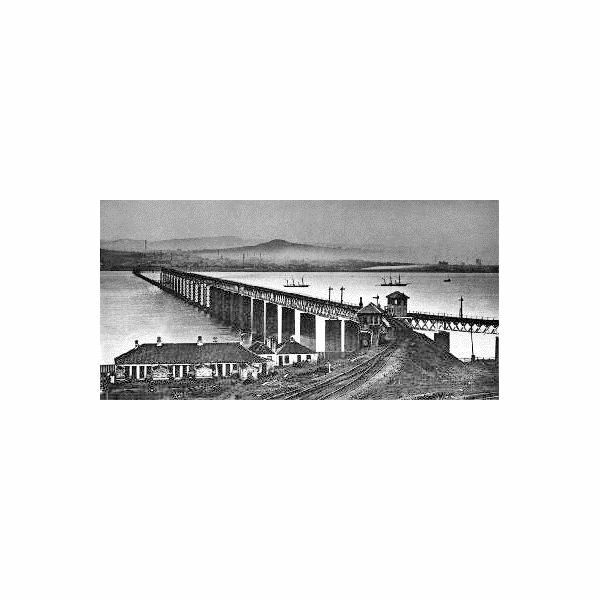 The completion of the world’s longest bridge in February1878 was heralded with great applaud and it was indeed a marvelous feat of British Engineering in the Victorian era. However, there were certain flaws in its design that would lead to its eventual structural failure, and a mere nineteen months later, the high center section collapsed, making it Britain’s worst bridge disaster. There have been various theories offered as to the reason for the collapse, with the poor seabed survey, train derailment, bad design, and the use of materials inadequate for withstanding high wind stresses being some of the more popular ones. The images below show the missing high girder section, taken soon after its collapse and, on a happier note, the New Tay Bridge. 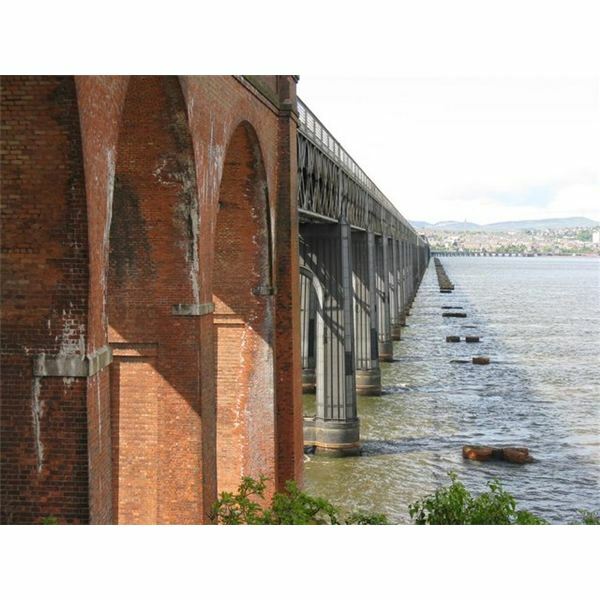 As the bridge spanned the River Tay Estuary, a survey of the estuary seabed was required to evaluate its suitability to support the structure. Once completed, the original supports were designed on the results of this report. The survey was later proved to be inaccurate and was the first error; the support design had to be altered. This along with cost-cutting measures being demanded by the railway company because of financial overrun, led to what was later referred to as under-designing of support structures. The seabed of the shallower waters each side of the estuary was firm bedrock- conventional brick upstands being built to support the structural girders. These masonry platforms were not in any way responsible for the eventual structural failure; they are still evident to this day, forming a breakwater for the new replacement rail bridge. However, the seabed under the deeper waters near the center of the estuary that were navigated by the sailing boats of the time was another matter. Here the seabed consisted of a mix of sand, sediment, and gravel, not a suitable base at all for the conventional heavy masonry foundation. Therefore, a revised significantly lighter foundation design was proposed consisting of steel caissons piled into the seabed to support the vertical columns. As Bouch was under pressure to reduce construction costs, and as this support design offered a much cheaper option, he agreed to the design change in this section of the bridge. The bridge structure was also required to be higher in this section to allow tall-masted sail boats to pass under. To accomplish this Bouch incorporated a raised trussed structure, known as "the high girder sector," being positioned about at the bridge’s midpoint. It is here in the high girder sector that we will concentrate our examination of the structure, since subsequent inquiries have cited failure of the components in this area being responsible for the bridge failure. Please turn to page 2 for further examination of these components. Contrary to the survey report, the seabed in the middle of the estuary consisted of sand, gravel, and sediment. Consequently, the design of the support piers for the center section was changed from brick to lighter hollow caissons. These foundations consisted of large diameter wrought iron caissons, in part internally lined with brickwork. These caissons were fabricated ashore and floated out to their various locations where they were piled into the seabed and filled with concrete. Atop of these, hexagonal brick piers were built with their centers also filled with concrete. Cast iron base-plates were fixed into the top of the pier masonry at the hexagon apexes using foundation bolts, and the vertical columns were bolted to these baseplates. As we have seen the center section of the bridge had to be raised to allow the navigation of high-masted sailing ships. This was achieved by construction of the high girder section, supported on hollow columns that were fixed together using horizontal ties and angled trusses between them. These were bolted to the lugs that were integral to and cast along with the columns. 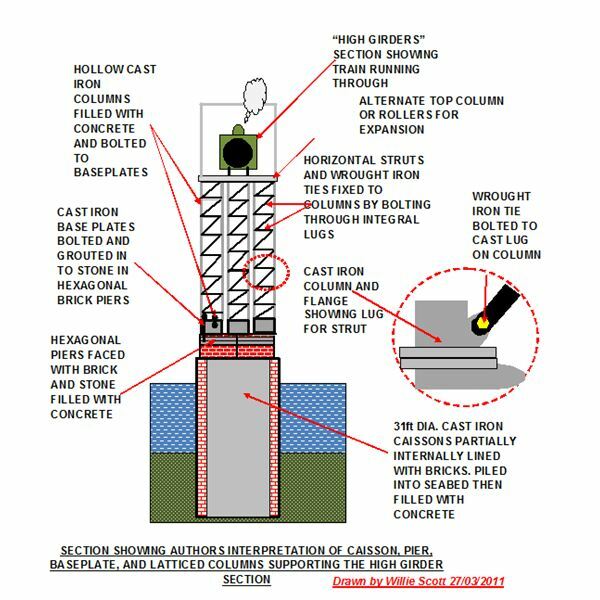 At the BOT inquiry it was stated that some of the top layers of the pier masonry holding the base plate bolting came away. 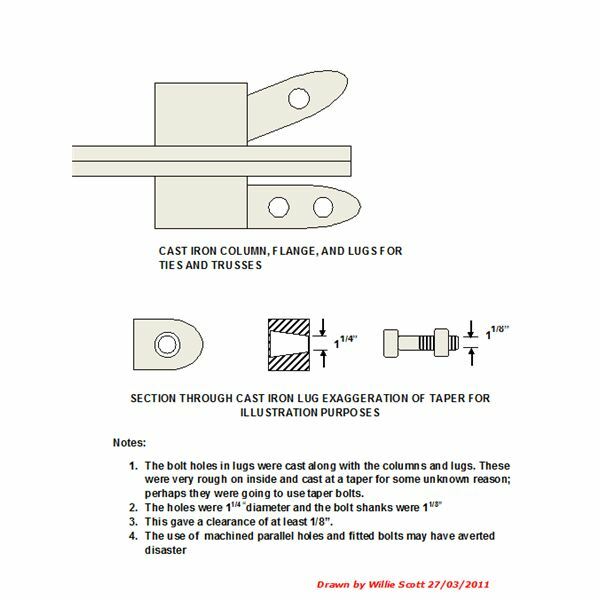 This resulted in higher stress being applied to the column lugs, ties, struts, and fixing bolts, causing the failure of some of these key components. This failure was partly down to the lug bolt holes. These were formed during casting and had a rough internal finish that should have been machined. This was compounded by the fact that for some reason, the holes were tapered but the bolts had parallel shanks. Inevitably this arrangement put the bolts, lug connections, trusses, and ties under even higher stress levels. These faults caused the lugs to crack (the lugs being of cast iron were brittle), over-stressed due to vibration caused by the train travelling across the high girders at speed. The train speeding was verified by several witnesses even though BOT engineers had noted excessive vibration when a train was travelling over the high girder sector at their initial inspection. They had stipulated a maximum speed of 25 mph for this sector to alleviate the vibration. The chief inspector, Major-general Hutchinson, had also wanted to return to the high girder sector when a train was passing over during a storm and winds, but he never managed to carry out this inspection. I wonder if had carried out this important inspection what he may have found. Would the vibration under the combined effects have been bad enough to order a re-design of the high girder sector? The design of the bridge made no allowances for the stresses applied to the structure by the predominately high winds blowing down the estuary. To be fair to the designer, this was normal practice for every British built bridge of this period. On the night of the disaster, the wind was blowing at 90° to the bridge at an estimated force 10 or 11. This caused the column structure to sway in the wind, tilting the train and forcing the train wheels to rub heavily against the rail guard bars designed to prevent the train from being blown off the track. (Showers/sheets of sparks were seen coming from the wheels area.) This was accompanied by the wheel rims not only rubbing against the track edge, but losing contact with it. This combined with the failure of the column baseplates and tie bolting eventually proved too much for the high girder sector. 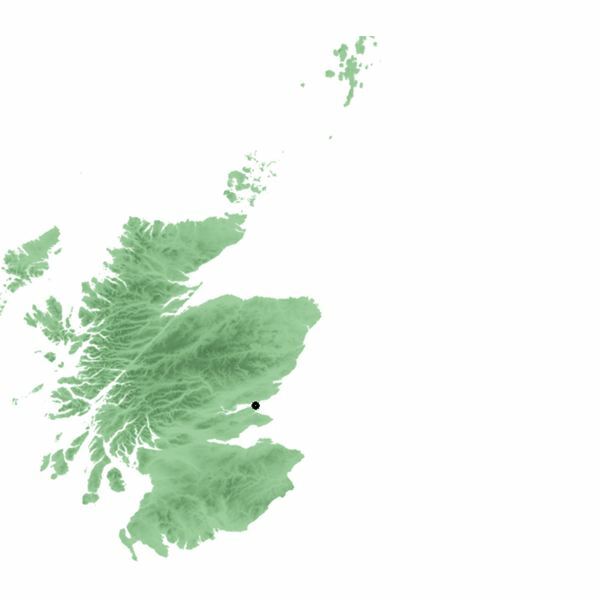 It toppled and collapsed into the Tay River Estuary, along with the engine, carriages, and passengers. Of the people who died, there were the three train crewmen, with the driver being a well-known local man. Among the passengers were ordinary working men and women with their children, all on their way from Edinburgh to celebrate the New Year in Dundee. At present there is only a small memorial placed outside Wormit to commemorate the disaster. Therefore it is fitting that a Memorial Trust Fund been set in motion to raise money for a memorial to remember these people, albeit a hundred years after the disaster. It is envisaged that the memorial will consist of two monuments, one on each side of the estuary. These will contain the names of the passengers and crew, along with a short overview of the disaster, etched into local stone as an everlasting tribute to those who perished in the Tay Rail Bridge Disaster. Openuniversity: structural failure theory and subsequent BOT enquiries.